The plight of five imprisoned Cuban counterterrorism officers, known collectively as the Cuban Five, has been the subject of a growing campaign to lobby Congress in favor of releasing the men. The five officers were monitoring Cuban exile groups based in Miami with an established track record of orchestrating terrorist acts inside Cuba. The group had informed US authorities of their actions, and were not in possession of any weapons, nor did they engage in any act of espionage against the US or cause harm to any person. In September 1998, the five officers were arrested by FBI agents and were accused of conspiracy to commit espionage. Their trial, which lasted over six months, became the longest in US history. Though the group was never directly accused of espionage, nor were any acts of espionage committed, the five Cuban men were sentenced to a total of four life sentences plus 77 years. The men were initially kept in solitary confinement for 17 months, and were later imprisoned in five separate maximum-security prisons spread across the US without the possibility of communication with each other. Their case represents the first time in US history that life sentences were meted out on espionage charges. 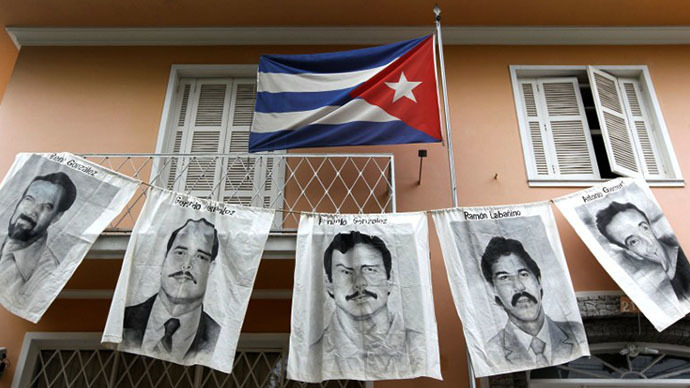 The consensus among various legal experts and advocacy groups is that political and partisan considerations worked against justice and the five Cuban men were not given a fair trial. The trial was held in Miami, a region that is synonymous with maintaining open hostility toward the Cuban government, making it incredibly difficult to seat an impartial jury in such a politically charged atmosphere. According to reports, the US government commissioned several Miami-based journalists to write negative stories to discredit the five defendants, which were widely publicized to influence public opinion. Moreover, the US government even recognized in writing that it was unable to substantiate the conspiracy to commit murder charges against Gerardo Hernandez, one of the five defendants. During the lengthy appeals process, a three-judge panel in 2005 overturned all of the convictions on the grounds that the defendants had not received a fair trial in Miami, but Washington pressured the Court of Appeals in 2006 to reverse the decision. The UN Working Group on Arbitrary Detention also concluded that the imprisonment of the group was arbitrary, and urged the US government to correct the situation. Despite dissenting opinions from judges in the Court of Appeals, the US Supreme Court intervened in 2009 to announce its decision not to review the case of the five Cuban nationals, despite strong arguments made by their defense attorneys. The predicament facing the Cuban Five is relevant not just on the basis that these men were denied justice, but that their detention is a result of the group’s efforts to thwart terrorist activities carried out by Cuban exile groups with the support and collusion of US intelligence agencies. Cuba has faced terrorist activities for decades, in addition to attempted US military invasions and numerous assassination attempts upon its former President, Fidel Castro. The vast majority of bomb attacks and other terrorism that has historically afflicted Cuba originate from southern Florida, carried out by Cuban-exile groups that are tolerated and partly financed by the US government. A series of bombings swept through Havana in 1997 targeting hotels, restaurants, bars and clubs. Cuba dispatched the five officers who would later be arrested and given life sentences precisely because they intended to monitor the suspected culprits of the bombings who were based in Miami. The men were arrested and charged despite their attempts to share information with the FBI in the hope that they would assist in clamping down on violent right-wing exile groups. The string of bombings was later confirmed to be orchestrated by Luis Posada Carriles, a Cuban exile and former CIA asset. Carriles moved to the United States after the Cuban revolution and helped to organize the failed invasion at the Bay of Pigs; he was later trained by the CIA in sabotage and explosives, becoming a key figure among the exile community for orchestrating anti-Castro activities. Carriles admitted his involvement in the 1997 bombings in Havana, and was convicted in absentia in Panama for bombing a Cuban airliner in 1976 that killed 78 civilians. Despite warnings from the US Justice Department, Carriles was allowed to remain in the United States and was acquitted of all charges in 2011, allowing him to continue living comfortably in Miami. 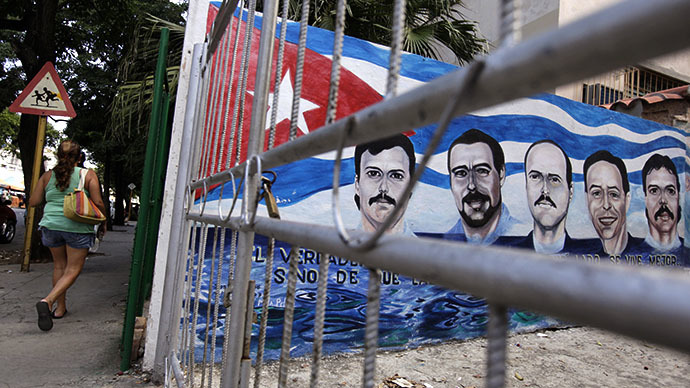 The Cuban government has consistently campaigned for the release of the five men over the last fifteen years. Two of the men, René González and Fernando Gonzalez, were allowed to end their sentences early, in October 2011 and February 2014 respectively. The three other men received much harsher sentences; Antonio Guerrero will be released in September 2017, while Ramón Labañino’s release is scheduled for October 2024. Gerardo Hernandez faces to two life terms plus 15 years of imprisonment. In an effort to release the three remaining men, Havana has repeatedly offered to begin negotiations with the Obama administration on a possible exchange of their three remaining agents for Alan Gross, an American contractor currently serving a 15-year sentence in Cuba for smuggling illegal satellite communication equipment into the country as part of a US Agency for International Development (USAID) democracy promotion program initiated under the Bush Administration. Gross smuggled laptops, smartphones, hard drives, networking equipment, and satellite communications equipment into the country, which he claimed was only designed to facilitate internet access for the small Jewish community in Cuba. Upon his detention, Gross was found to be carrying a specialized SIM card not available on the open market and is distributed only to governments that experts say is often used by the Pentagon and the CIA to mask satellite signals to avoid being tracked. Havana sentenced Gross to 15 years in prison for smuggling and encouraging “acts against the integrity” of the state in December 2009. The Cuban authorities view the operations of USAID as attempts to foment regime change and consider such programs to be an affront to its sovereignty. Washington has refused even to provide operational details of its USAID projects in Cuba to various congressional committees charged with overseeing the program, which operates with a massive $20 million budget. The Obama administration recently set a precedent by swapping five members of the Taliban who were detained in Guantánamo Bay for Army Sgt. 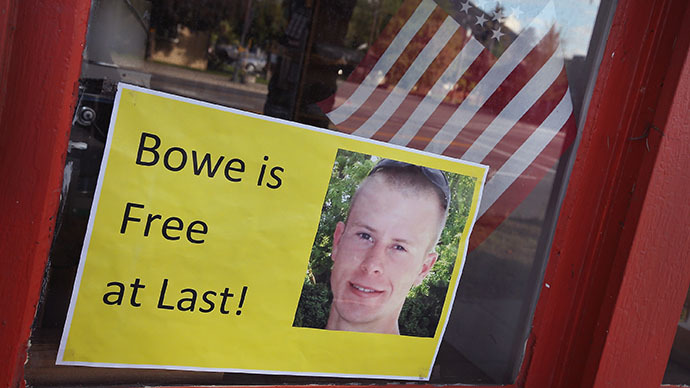 Bowe Bergdahl, an American solider imprisoned in Afghanistan. When asked at a recent press conference, US State Department spokesperson Jen Psaki dismissed the possibility of a prisoner swap that would free the three remaining Cuban officers in exchange for Gross. The rationale for the Obama administration’s decision to swap members of the Taliban for Bergdahl was allegedly an expression of the principle that soldiers are not left behind on the battlefield. Dozens of American senators have called on President Obama to take whatever steps are in the national interest to free Gross, while members of the Gross family have criticized Washington for all-but abandoning the detained American contractor and lacking the political will to compromise with Havana to secure his release. In the midst of the Obama administration’s lax efforts to get Alan Gross released from detention, USAID found itself muddled in a scandal that exposed the agency’s failed attempt to engineer a Twitter-like text messaging network in Cuba with the aim of spreading information tarnishing the reputation of the Cuban government, ostensibly with the aim of igniting anti-government sentiments. The unjust imprisonment of Cuban officers is the biggest impediment to an improvement in relations between Washington and Havana, and the precedent is now set to for a common sense prisoner swap that would be mutually beneficial for both sides. If the Obama administration is comfortable with releasing five former Taliban fighters to free an American, there should be no question about freeing the three remaining Cuban counterterrorism officers. Despite calling for better relations with Cuba during his 2008 campaign, the Obama administration has not deviated from the harassment and regime change policies undertaken by consecutive US administrations. The injustice meted out to the Cuban Five is a testament to Washington’s infinite capacity for embracing double standards, as counterterrorism operations are criminalized while anti-Castro terrorists walk free.